Today’s post comes from Ed Francis, motivational speaker, professional drum instructor and founder Round Rock Drums. In this post you’ll find a great deal of practical wisdom applied to becoming a successful drummer. Read this and apply Ed’s principles if you want to grow as a drummer and human being! Click here to leave a comment for Ed. 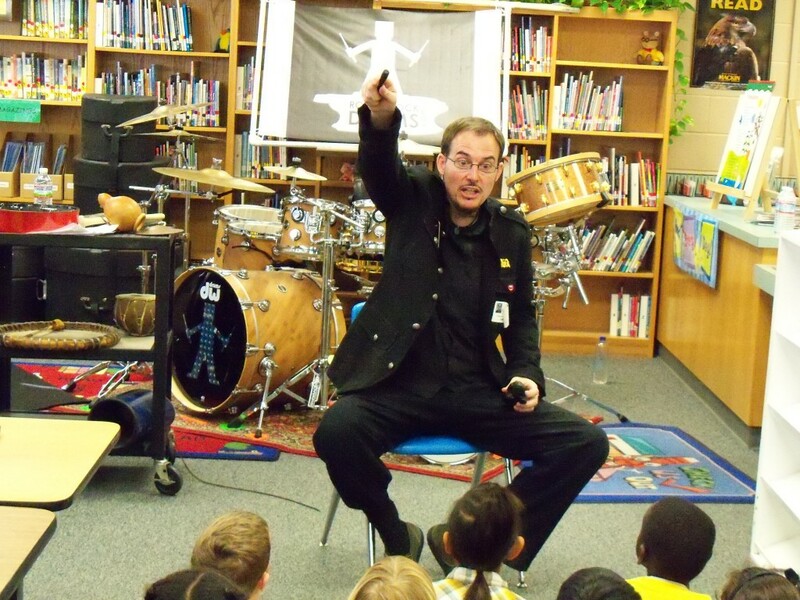 I’ve received several emails asking about my teaching methods and ideas from drummers/teachers. I don’t consider there to be any “hard and fast rules” to success. Everyone’s path will be different. These are merely some examples of what I have done, and ways of thinking, which have assisted me well with my drumming career. – A drummer must have humility. Humility is always a good place to start. When I first began playing [the drums] I knew that I didn’t know it all and I wanted to learn as much as I could about drumming. And I continue to remind myself of that way of thinking – that I still don’t know it all. Arrogance will turn people off – as well as prevent ourselves from improving our skills and the lives of others. – If you want to get gigs, you must practice! The level of consistency we put into practicing our craft is a reflection of its importance in our lives. – No matter what I needed to do for a “real job,” I’ve always had drumming as part of my life. I’ve bumped into many people over the years who have said “I wish I could do (insert passion here), but I just don’t have the time.” They made many excuses for their inability to make their wish a priority. I never understood this way of thinking. While growing up as a young adult I held on to my dream of being a drummer and practiced, played and performed as much as I could around my work schedule. We make time for the things that are really significant to us. – Find out what is most important to you. When it comes to drums there are so many areas of interest. 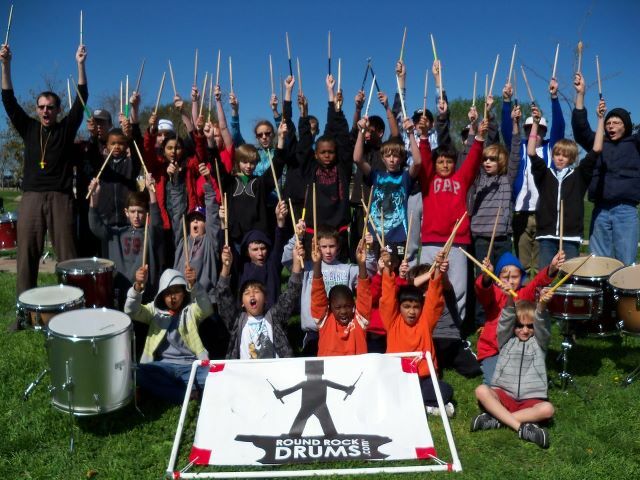 Are you a novice seeking to increase your drumming abilities? Do you have a level of competency on your instrument and looking to develop a stronger presence in the community? What is it that you hope to accomplish with your musicianship? Answer these questions and you will begin to understand what it is that you want to accomplish. Knowing who you are – and what is most important to you – will help you to reach your goals. – Do not let anyone else (including me) dictate the terms of what is most important to you. There are so many distractions out there! People trying to tell us what’s most important. Others trying to sell you things or concepts which are truly not necessary for what it is that you see as most valuable. Knowing yourself and feeling confident about what it is you are doing will aid in your ability to distinguish what is beneficial from what is a drain to your efforts. – Stay focused on your drumming goals – but be willing to look around. Once you get a feel for who you are as a drummer, and what you wish to accomplish, it’s always a great idea to look around at what other successful people are doing in the areas which are most important to you. I like to be inspired by those around me who are great at what they do – and this includes my students. Some of the very best ideas and influences may very well come from unexpected sources. Take the “blinders” off and be sure to learn from others. – Just because something is good to do doesn’t mean it’s beneficial. I can’t begin to tell you the number of missed opportunities I’m glad that I missed! We’ve had shows fall into our lap (last minute) – huge media events on big stages with lots of free media coverage – where it practically killed me to decline. When not prepared, it’s far better to miss a great opportunity than to seize that same opportunity only to gain an unfavorable impression in the community. Making a strong first impression is always the best thing. There have been a few situations where people neglected to pay for services I have provided. In the past I sought to collect on these past due amounts only to walk away with the money and the potential for a not-so-flattering story to be told. I’ve learned that I actually make more money by not worrying about a few small payments. It doesn’t feel good to lose money, but gaining a great reputation is worth much more than any amount of money. – Be confident with your ability to fulfill what you promise. Ask yourself: “Is what I say I can do actually what I am capable of providing?” I try to balance my advertising to accurately match what it is that I’m able to accomplish. There is something to be said about doing what you said you can do. People respect that and will highly recommend you to others. People are always going to gossip – give them something great to gossip about! – Always have something nice to say, or say nothing at all (at least keep it constructive). Be careful what you say. People are connected now more that ever before. Our relationships with others may very well be the bridge that allows us to capitalize on future business. And – to be honest – it’s just common courtesy to be nice to others. If your heart and mouth are in alignment with your passion – and you care about the people you are working for – the money will eventually follow. – Care about what you are doing and who you are doing it for. People are smart. They know if you are invested in them or not. Get to know your band-mates, students (their parents), club owners, music store owners, (etc…), and truly seek to add value through what you do with your drumming. It’s about relationships not money. Investing yourself into the lives of others is investing into yourself. 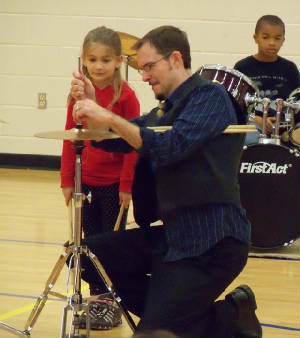 Ed Francis of Round Rock Drums having some one on one time with a student. – Whatever you do – give it your ALL. Whenever performing (a small daycare facility with only 20 little kids or a huge stadium filled with 5,000 adults) I put my heart and soul into that moment of performance. This is also true for any projects connected to my drum business. Remember, what you do in that brief moment may be the one thing where people base their entire opinion of who you are and your abilities. Always provide your very best at everything you do. No matter how big or small give it your all. Did something Ed said get your wheels spinning? Leave a comment and start a conversation! Thank you for your comments.I was obsessing about what I might do in 30 seconds.Not an easy task – that time goes by much more quickly than one might think!We recorded some things in my backyard…and several ideas fell within the time frame.It was frustratingly-fun.